I Was Charged with Driving with A Suspended License, What Can I Do? Home > Virginia Traffic Laws > I Have Been Charged with Driving with A Suspended License, What Can I Do? I Have Been Charged with Driving with A Suspended License, What Can I Do? Posted on: February 16, 2018 By: Christopher Brown, Esq. Well, you are already in this situation and there is no use on reciting the various reasons why you should never, ever drive with a suspended license. But, since it is what it is, let’s focus our efforts on providing a solution to your dilemma. But, before we go to that, let us start from the very beginning and that is understanding what a suspended license is. A license can be suspended in many ways. One, a driver’s license can be suspended in order to protect the public from your reckless driving antics such as driving under the influence, speeding, and other driving-related activities. Two, a driver’s license can also be suspended as a punishment and not related to bad driving activities. Take, for example, if you have not been paying your child support payments, then the court can go after you by suspending your driver’s license. Commonly, this spurs many people to pay up their child support obligations because they do not want to go through the hassle of not being able to drive their cars for pleasurable activities or to get to work. Another example where licenses can be suspended is because of a disability like epilepsy and visual impairment. Age and diabetes can also be grounds for license suspension, depending on the state. 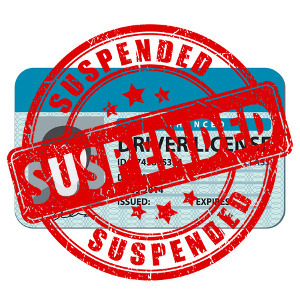 What Happens During a Suspended License? Essentially, when you have a suspended license, you never drive a car. If you really need to drive, what you must first do is to get a restricted license and/or lift the suspension off your driver’s license. Let’s consider first the restricted license, what is it? This is a temporary license that allows a driver with a suspended license to drive. There are restrictions on their driving activities. Commonly, a restricted license owner is only allowed to drive to and from work, community service, school, and some other activities. The restrictions will also include specified days of the week, times of the day, and even areas of the city where you can drive. That’s why it is called a restricted license because of the many restrictions that come along with it. Another restricted license is the ignition interlock restricted license. This is applicable to drivers who had their driving privileges suspended because of driving under the influence (DUI). The ignition interlock is actually a device built into the ignition of the car. By breathing into the device, the device then checks your breath for alcohol intake, and only when you do not reek of alcohol will your car start. If you get caught driving with a suspended license, then there is an equal price to pay, either jail time, fines, or both. For repeat offenders, the penalty increases. The specific penalties range and differ from state to state, so it is always best to search specific laws, rules, fines, and penalties for driving with a suspended license within the state you are living in. There are cases when drivers begin driving when their license suspension has been lifter—BUT, they still have not fully met the additional conditions stipulated in the lifting of the suspension. In this case, there are two ways that the court may decide. One, the court can look at this instance as a driving without a valid license case. Or, the court may decide that the license is still in suspension until the additional conditions are met. This means that you were driving with a suspended license. There is a distinction between these two decisions because they have differing penalties. You have been caught driving with a suspended license. Now, what? 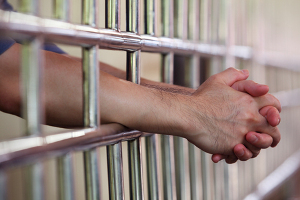 Go look for a reliable criminal defense attorney in your area. Why in your area? So, that you can talk to them personally, you can see them, you can judge for yourself if they have the time to handle your case, and if they are reliable and competent in their field. Once you have chosen a criminal defense lawyer, it is now time to set your appointment with them. In the meantime, while waiting for your appointment you can mull over these questions that you might want to ask the lawyer: Is it too late to contest the basis of the license suspension? Are there any suggestions that you can provide with regards my situation that will lessen my offense? And before going to your appointment, it is highly suggested that you write down all the details of the offense on why your license was suspended in the first place. Be very detailed because items you may think are irrelevant may not be what your lawyer would think. So, it is best to let the criminal defense lawyer decide which detail is irrelevant or not. Some people are also concerned about taking driving courses prior to the court date. This question is best asked to your lawyer because not all suspended driver’s license have the same basis so taking driving courses is not applicable to all. And more importantly, it is of utmost urgency that you consult a criminal defense lawyer right away so that you will have time to ready what needs to be readied before your court appearance. If you live in Virginia, The Brown Firm, PLLC is a reliable firm that can help you with your representation needs. You can call 703-828-0900 for a free consultation!